Whether you aim to market your business effectively or are interested in starting a personal (yet profitable) blog, you&apos;re not alone. Across the internet, all forms of blogging are on the rise. Here at Postach.io, we&apos;ve worked with many bloggers, helping them find their own niches. We&apos;ve also found that those who are just starting out may need some guidance. After all, there’s a lot to learn, and thanks to evolving technology, there&apos;s also a significant learning curve. That&apos;s why we decided to create a comprehensive guide to blog hosting. Our goal is to help you enter the world of blogging with not only excitement and passion but also knowledge and confidence. Let’s get started. First, it’s important to look at the impact blogging has on website traffic, growth, and brand awareness. According to Tech Client, when your website features a blog, it has a 434% greater chance of being ranked highly on search engines. This means your target audience is able to find you more easily. After all, 77% of internet users read blogs. Once they find yours, you can implement key strategies to keep them coming back for more. If you already have a small business and would like to maximize your marketing budget, you’ll be pleased to know that 82% of those who blog daily experience a positive return on investment. Tip: In order to ensure a greater return, it’s important to implement key habits from the get-go. Promote your posts across a number of social media platforms and encourage your readers to share. Once traffic increases, you can focus on a successful subscription module. After all, email marketing continues to be one of the most effective strategies. Consider search engine optimization and use keywords you think your target audience will search for. Include strong keywords in your content’s text, in the title, and in your URL. Make your content useful as well as enjoyable to read. Get into the habit of creating content that&apos;s attractive and easy to scan. Don’t be shy of images, headers, and bullet points. Here&apos;s the ultimate guide for writing killer blog posts. Include a call to action. The whole point of publishing a blog is to generate leads. If you&apos;re missing a call to action, you&apos;ll miss out on some great opportunities. For example, you can include an option to download a specific resource. You can also highlight affiliate marketing programs. If you have a passion for blogging or want to share your ideas with the world, there’s no better time than the present to get started. Although this critical step is often overlooked, choosing the best web hosting platform for your needs is one of the most important steps in creating a successful website. Whether you aim to gain traffic or boost sales, the hosting platform you choose can make all the difference. This leads to the burning question on everyone’s mind: With so many options, how do you choose? Let’s take a closer look at five popular platforms, so you can choose one that maximizes your time, productivity, and long-term success. 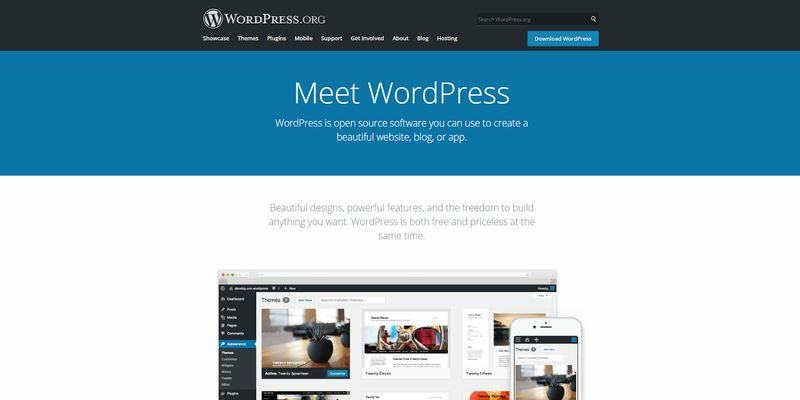 One of the most common hosting options, WordPress.org (not to be confused with WordPress.com), was launched in 2003. Today, this self-hosted platform powers a significant percentage of websites. WordPress is a solid choice, as it allows you to maintain a high level of control over your content and blog. With WordPress, you can integrate free themes and plugins, and utilize various e-commerce services. Ideal for businesses and pro-level bloggers, WordPress requires some technical knowledge and experience to take advantage of all its features. Vast array of customizable features. Large selection of available themes (some free). More than 45,000 supporting plugins available for download. Although WordPress is a powerful option, there&apos;s a significant learning curve. For beginners, this can be overwhelming. The customizable features are great, but initially configuring your site takes a lot of time. In addition to the WordPress.org platform, you&apos;ll also need a web hosting plan from a service such as Bluehost, which is an added cost, and you&apos;ll need to implement security features, too. On the flip-side it comes with some epic plugins, such as Elementor, a super-flexible page builder. Our team at Postach.io understands the importance of a positive user experience. After all, the better your experience, the more you’ll continue to blog, leading to sustained success. Without a doubt, Postach.io is one of the best options for beginners and will enhance your overall passion and desire to blog. In fact, we developed Postach.io with novice bloggers in mind, catering to their evolving journeys. 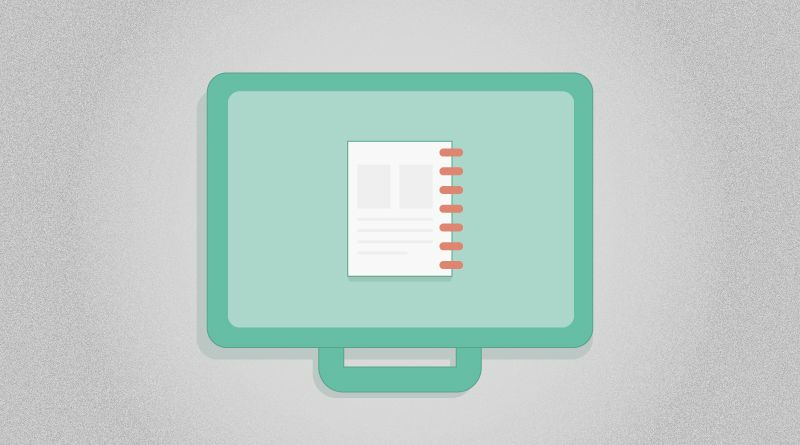 Utilizing Evernote, Postach.io makes it easy to turn your ideas into reality — just like that. Best of all, you can access quality themes with ease. As you learn more, you can customize these themes using HTML. If you&apos;re focused on creating great content that reads well and is easy to publish and share, Postach.io is a no-brainer. Easy to use, allowing you to focus on what matters most — fabulous content. Helps you utilize social media marketing. Allows you to track and monitor your blog’s traffic and progress via Google Analytics. Enables you to create a fully customized blog without any significant tech experience. Cost-effective, making it an ideal option for novices who&apos;d like to gain more experience without breaking the bank. The only downside is that you can&apos;t preview your posts. However, as you become more comfortable with Evernote, you&apos;ll find that this feature is not especially important. The Blogger platform has been around since 1999, making it a fond memory for some of the earliest bloggers. Google purchased the platform in 2003 and operates it to this day. Free and simple to use, Blogger is a reasonable choice for beginners. However, it offers you less control over your content and — because it&apos;s owned by Google — your blog’s potential lifespan. Blogger has built-in tools that do not require an extensive tech background, which is a bonus. However, the lack of features and editing options make it a poor choice for anyone who plans to maintain a professional, profitable, and highly customizable blog. Overall, Blogger is ideal for those who would like to explore the world of blogging before making a commitment. It&apos;s free and user-friendly, but fairly limited. Novice and advanced bloggers often complain that it offers little room for growth. For first-time bloggers, Wix can be an attractive option. Being able to drag and drop website elements makes building a functional website reasonably straightforward. With a wide range of free fonts and templates, as well as a free text editor, you&apos;ll feel like a pro as you create a fun, fully functional website. Once you&apos;ve built your website and gained some experience, though, you may find yourself dipping into your pocket quite a bit. That&apos;s because many of Wix&apos;s more advanced features, which you&apos;ll need to transform your website from good to great, will cost you a pretty penny. Wix also has limited apps and extensions, particularly on its free plan. In summary, Wix offers free access, online store functionality, and hundreds of design options. This makes it a worthwhile option for novice bloggers or small business owners. However, when you use the free version, your site will be plastered with Wix branding, and once you build your site, you can’t make any changes to your theme. If you&apos;re interested in the SEO potential of your blog, Weebly may be for you. Like Wix and another popular option, Squarespace, this platform offers drag and drop features, making it ideal for beginners. It&apos;s free at first, so you can explore the available options to see if it’s the right fit for you. As you grow as a blogger, you can then access paid upgrades. Weebly&apos;s built-in hosting is an added bonus in terms of speed and security. When you invest in a business plan, your entire site gets SSL certification. Best of all, as you build your website, you&apos;ll gain access to supportive onboarding. As your blog grows and you create more content, Weebly can become a bit tricky. The content management system leaves much to be desired. Since Weebly lacks advanced marketing tools, such as custom analytics, A/B testing software, and email marketing, you may find it challenging to promote your content effectively . Offering similar advantages to Wix, including 24/7 support, a free version you can use to set up a website quickly, and an efficient drag-and-drop editor, Weebly is certainly an option for beginner bloggers. However, it has limited add-ons, and if you decide to move your site to a new platform, you may find it quite challenging to do so. Depending on your blogging goals, the most well-rounded hosting platform for power users with a degree of technical proficiency is likely WordPress.org. However, Postach.io is likely a better choice for beginning bloggers who are motivated to continue learning and growing. Offering optimal customer experience, our team is here for you as you begin your blogging journey. To get started, create your own site for free today!